1) Is this lawsuit frivolous? 2) Is the present system for litigating (obtaining) patents an intelligent way to resolve these issues? 3) What is the empirical evidence of whether strong or weak patents for software result in more funding, more products, and more employment? I have not studied this case in enough detail to know the answer. The outrage over the Amazon one click patent was complete misplaced. The Amazon one click patent was a real invention, there was not a mountain of prior art that the critiques claimed, and it was copied and much more successful than previous techniques. The one click patent not only simplified the ordering process, it was more secure, and customer preferred it. The level of outrage about lawsuits is more about politics than about logic. By the way all Barnes and Noble had to do to avoid the patent was put in two clicks. I have heard no outrage about how lazy they were to not even write code that had two clicks. Unfortunately the software industry has the habit of rewriting code, which is inefficient, instead of buying previously developed code. Despite the open source communities attempt to wrap themselves in the innovation flag, much of what they do is rewrite code that has already been written. This is not innovation, it is not productive, it is narcissism. In addition, many companies follow the policy of purposeful ignorance. Meaning they purposely do not have their engineers look for prior art to supposedly avoid willful infringement. We should not reward purposeful ignorance and we should not encourage people to reinvent the wheel. Note that when Fritz Haber invented the process of fixing nitrogen the competitor of Bosch said he should never have received a patent. He went one to win the Nobel Prize in Chemistry and this invention is the main reason we are not presently starving. Again, the level or outrage is a tactical decision, it is not a reasoned argument. There are a number of problems with the way our patent system is implemented. Why do we have judges who do not understand patent law and do not understand the underlying technology (facts) deciding this cases. They are ignorant on the law and the facts. In addition, we have made it so expensive to litigate in federal court that justice is secondary (tertiary) to the cost of litigation. Many large companies use this fact to pursue a policy of efficient litigation. You should not confuse the problems with the system of adjudicating the conflict with the value of the underlying property right. My clients have been the victims of this absurd lottery system. But. they have also been the victims of big companies who believe in efficient infringement. In my opinion, we need a set of special courts that hear patent cases. The amount of discovery should be significantly limited, because this is the big cost of these lawsuits. Perhaps we should implement a loser pays system. The timeframe should be significantly limited, such as one year to the end of trial. We should also limit the number of issues. For instance, only infringement and prior art validity should be considered. Arguments by the defense of inequitable conduct are mainly made to increase the cost to the patent holder and to allow the defense to go on a fishing expedition. The threshold for inequitable conduct needs to be much higher. Many of the things claimed to be inequitable conduct are not, they are excuses to steal other people’s inventions. Patents on software also suffer from a couple of problems. One is that we decided not to allow patents for software back in the 70s. 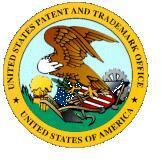 As a result, the patent office does not have a good base of prior art. This means they are going to make more mistakes in both allowance are rejecting these kinds of inventions. Second, the time (4-10 years) that it takes to get a patent, particularly one on software, through the patent office causes all sorts of problems. These problems are not inherent to software. They are the result of purposeful decisions. Why has Congress taken (stolen) a billion dollars of user fees from the patent office? If it took 2-10 years to obtain title to your house and the risk of losing your property in court was high, would you say that we should not have property rights in real property? Or would you say the process of obtaining and defending these rights flawed. The problem is not with the property right it is with the implementation. 3) What is the empirical evidence of whether strong or weak patents for software result in more funding, more products, more employment? Every study on this issue is overwhelming. It shows that software investment, products, and employment all took off as it became clear that you could obtain a patent on software –see the 1990s. When the open source began to successfully attack software patents, the number of product stagnated, the number of software employees stagnated, and investment in software stagnated – see this decade. If a lack of patents was the key to software innovation, then North Korea, Libya, Nigeria should all be bastions of software innovation. The anti-software patent crowd argument is about emotion not logic. Great post! “Frivolous” is often a matter of opinion. One man’s “shakedown” is another man’s assertion of valid patent rights. Also, I’ve often searched high and low for a definition of “software patents” and not really found one. (The subject of a recent post over at my blog.) At this point, I may as well resign myself to using the term as shorthand for a software-implemented invention.